Ordination to the Order of Diaconate of Frantzo Simbert | ComeSeeTv Broadcast Network ... Can you See me Now! 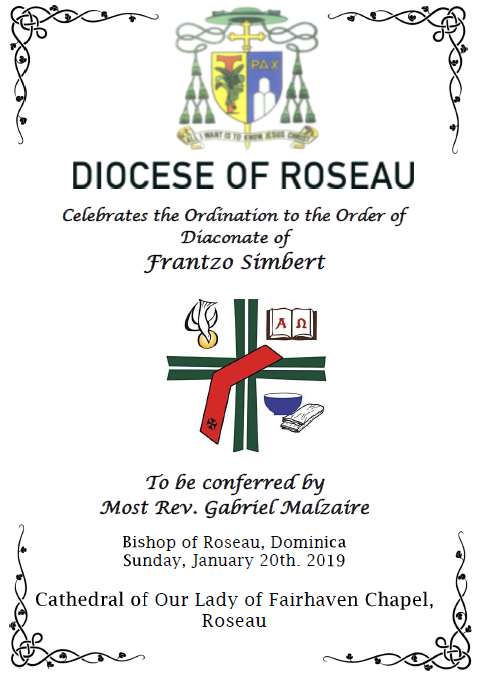 Dominica Catholic Radio and ComeSeeTv will broadcast live, the ordination to the order of Diaconate of Frantzo Simbert on Sunday January the 20th at 4 pm from Our Lady of Fair Haven Cathedral Chapel. Join us for the live broadcast of the ordination on 96.1 FM, Digi play channel 52, www.dominicatholicradio.org and ComeSeeTv and Facebook.